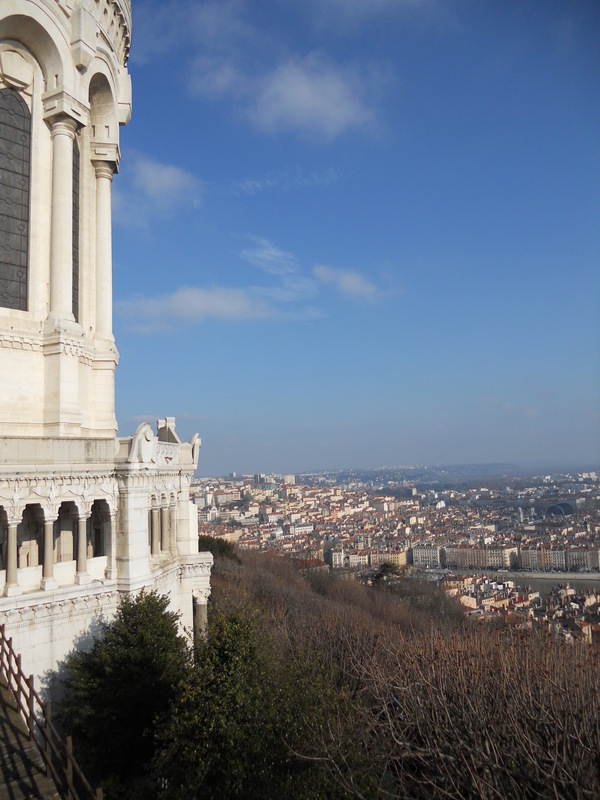 On Sunday, upon Colton’s suggestion, we headed to Mass at the Basilique Notre-Dame de Fourvière on the hill overlooking Lyon. The sermon, having been conducted entirely in French (which is only slightly more useful for me than if it had been conducted in Latin), was pretty much lost on me. 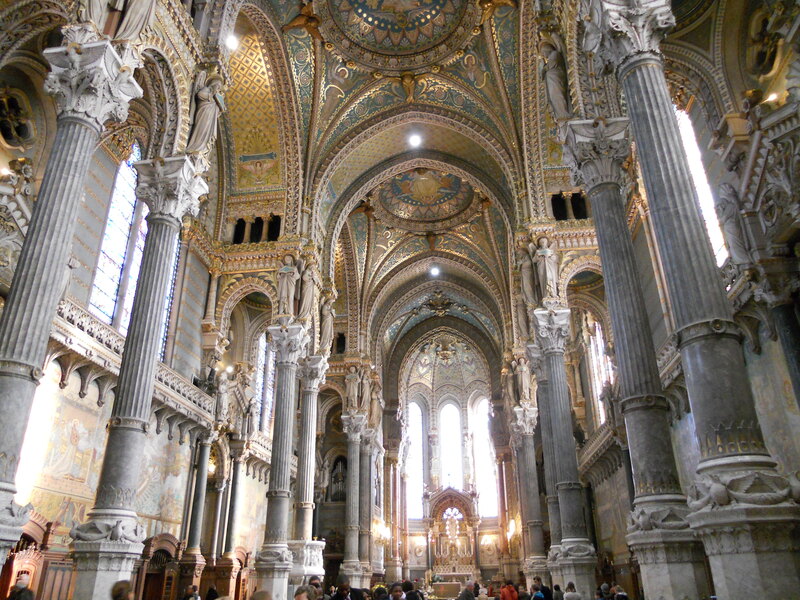 But, I did enjoy looking at the ornate decorations within the Church (and doing a little bit of people watching as well). 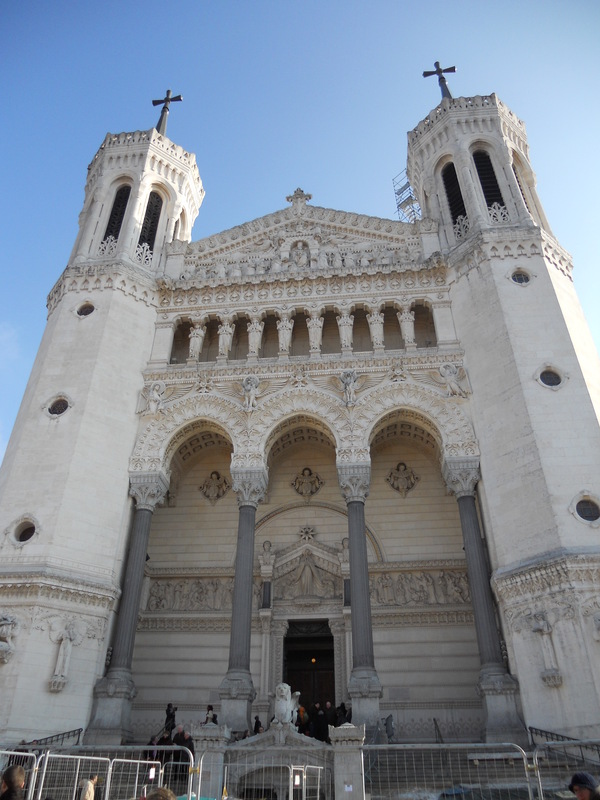 Note – people in Lyon dress up even less than people in Seattle when attending church! 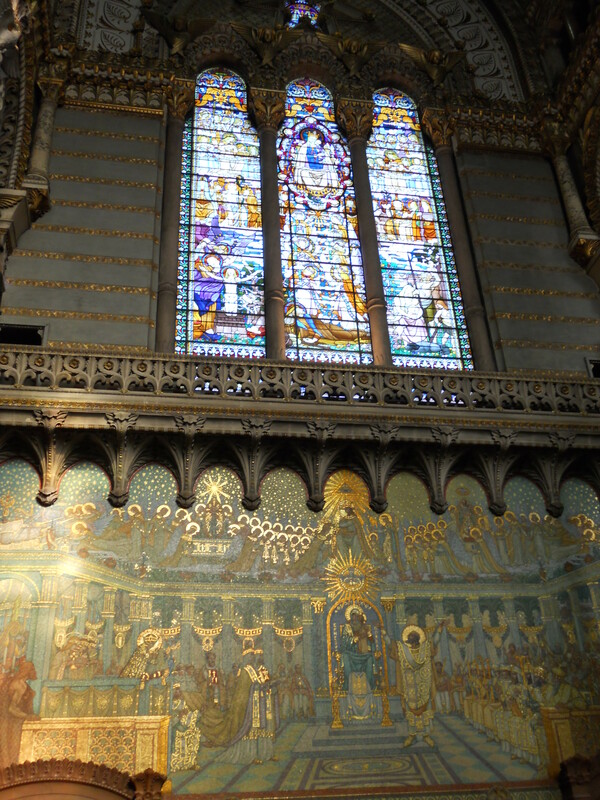 Just one of the many sets of stained glass windows within the church. 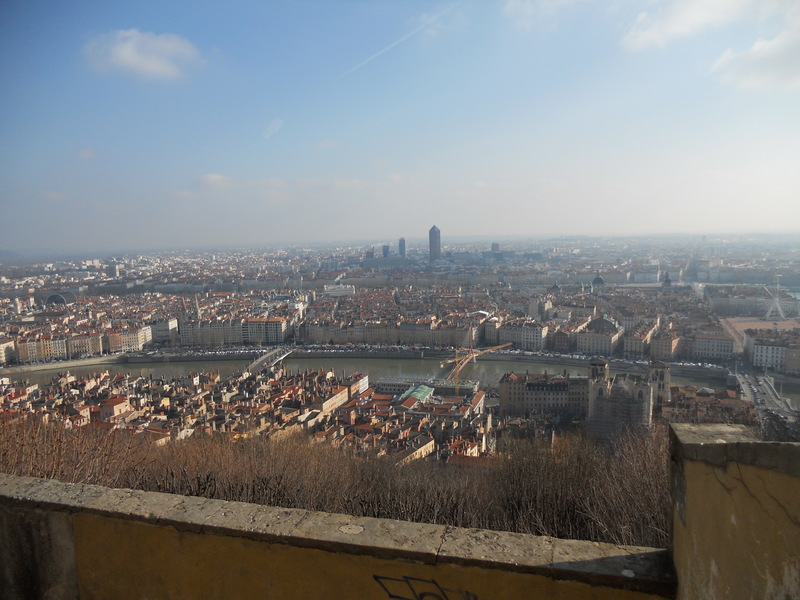 After Mass, we admired the views of Lyon from the Church, which sits high up on a hill overlooking the city. Don’t let the blue skies fool you – while it was certainly beautiful, it was (and still is!) absolutely freezing! After we decided not to hike down to the city center because of the freezing weather, we took the Funiculer down to Bellecour. 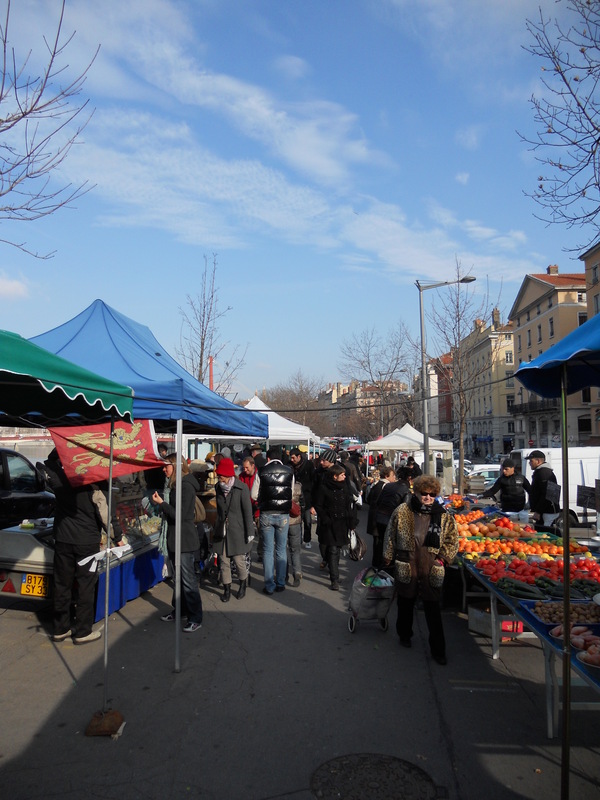 We then spent about 20 freezing minutes wandering around the Sunday produce market getting food for lunch (fresh “5 cereal” bread, fresh cheeses, a delicious chicken freshly roasted on an outdoor spit and some roasted potatoes) and getting a few items for the week. I ended up getting just mushrooms, clementines and tomatoes this week. I wanted to get more, but it was so cold that I caved quickly. 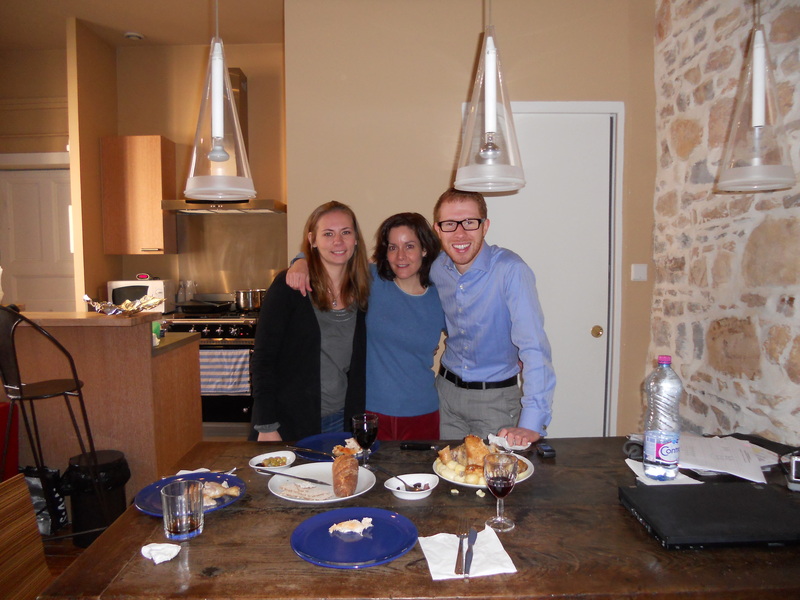 Then, we went to Cynthia’s place, cranked p the heat, and enjoyed a delicious lunch. Yesterday, I went to the worst opera, but I’ll write about that later. For now, I should get back to paying attention in class!